There is nothing better than growing your own food. You have the assurance of the freshest, nutrient-packed, produce around, which can be dished straight onto your dinner plate. Not only is it the best way to eat, but it also has the smallest carbon footprint. Now growing your own food needs quality compost, so why not use compost and vermicast straight from your own garden? Enter our Worm Hive, an incredibly easy-to-use system which allows you to use items that you would normally throw away such as vegetable peelings, old newspaper, and tea bags, to create quality vermicast. Click on this link to see our brochure which will give you all the information you need. 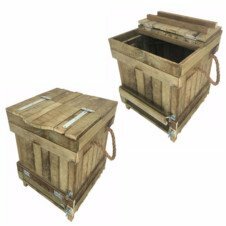 Better yet, you can even use our Worm Hive as a dog poo digester which is a fantastic way to turn your dog poo into great nutrients for your grass or flower beds! The Compost Bin has an easy and accessible flap at the bottom and a lid that gives you plenty of space to work your compost. Compost bins are great for those grass trimmings and even the peelings from your kitchen. Contact us for more information or to help you get started. 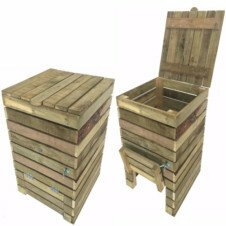 Better yet, both our Compost Bin and Worm Hive are both manufactured from Tanalised-E treated timber which is the eco-friendly choice for treating timber.